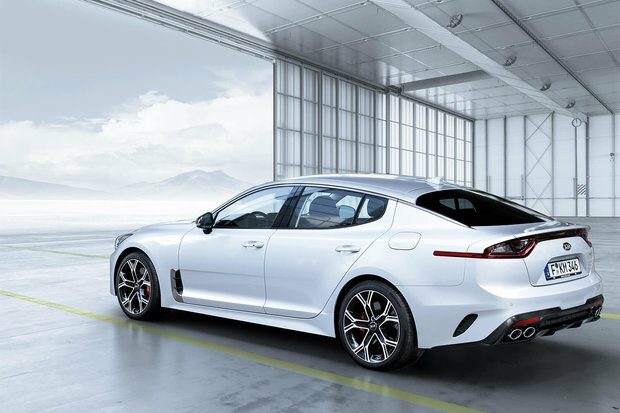 Here is the all-new 2018 Kia Stinger which will soon make its grand entrance at your Spinelli Kia dealership in Montreal near Dorval and Vaudreuil! It’s the most powerful sedan ever created by the manufacturer and will easily compete with the Audi and Lexus vehicles of the world. Find out more about it before it arrives at Spinelli Kia! We are located on the West Island and easy to reach from Laval. The 2018 Stinger’s world premiere unveiling was at the Detroit Auto Show in January 2017, and it will certainly please buyers who looking for a powerful car that is well equipped with the latest technological features and equipment. You can also count on a 2.0 L 4-cylinder turbo engine that can reach 255 horsepower (that's more than an Audi A4) that’s combined with an 8-speed automatic transmission that originated in the luxurious Kia K900. And for those who are looking for even more power, they can rely on a V6 biturbo that will produce 365 horsepower at 376 and lb.-ft. of torque, which means it will reach a speed of 100 km/h in only 5.1 seconds! But beware, this engine is a limited edition! The passenger compartment of the 2018 Kia Stinger is packed with features you would only usually find on more expensive cars. This way you can take advantage of heads up display, a powerful 720W, 15-speaker Harman Kardon sound system, a leather-wrapped steering wheel, a navigation system, a 7-inch touch screen, and even more. Also, it can comfortably seat up to 5 passengers and the available space in the trunk is one of the largest in its class. 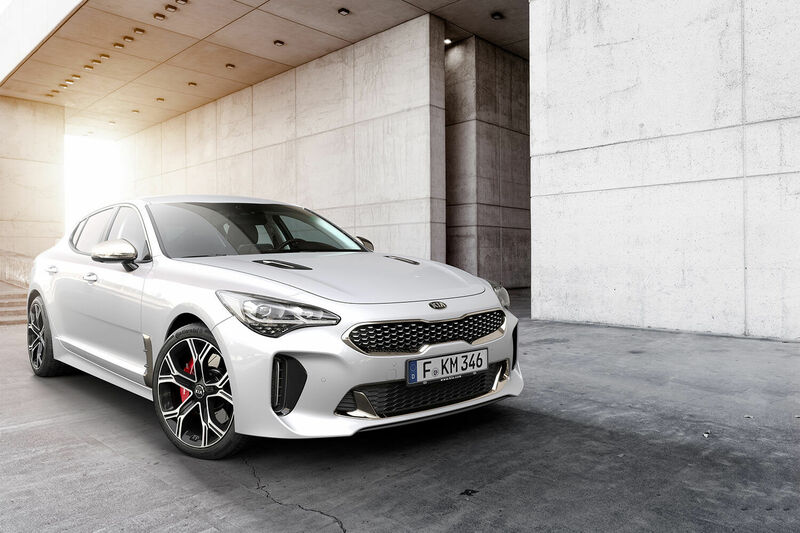 And as for the new Stinger's design, you'll find the iconic Tiger Nose grille that is unique to Kia, one of the most dynamic silhouettes on the market, 18 or 19-inch wheels, as well as front and rear lights that are both modern and athletic. Want to learn more about the all-new 2018 Kia Stinger or even our various Kia financing options? Come see us today at Spinelli Kia near Laval, Dorval and Vaudreuil and enjoy the best prices in the Montreal region on our new or used models.